It’s a natural fact that every so often you need to look for new office furniture to replace the old. You start your search and are overwhelmed by the prices of high quality furniture. With executive desk sets over $10,000 dollars, every individual cubicle running over $3000, and high end office chairs can easily run you over $900 a chair. It might seem like a compromise to settle for lower quality office furniture, but in truth, only the best is built to last. Don’t worry though… there are alternatives that are better than spending a boat load of money or buying cheap furniture that has no long-term value. The ideal solution is pre-owned office furniture. The reason buying pre-owned is ideal is because you can enjoy substantial savings without sacrificing quality. Maximizing the value of your furniture comes with choosing the right company to do business with. The answer to the right used office furniture company for you is at the intersection of several questions. This guide is aimed at helping you make informed decisions when you’re looking to replace your stuff. Before you even start to talk to anyone about buying furniture, be sure to spend at least a bit of time figuring out what you need. 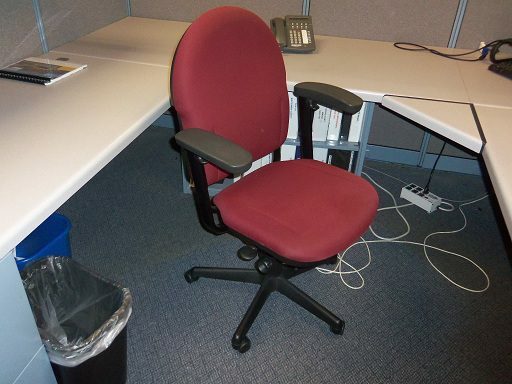 Mark-up a list of the cubicles and office chairs that you’re interested in. Ask yourself this though: Do you need to know exactly what you need when you begin a dialogue with a dealer? Absolutely not! You can tell a good furniture dealer by how helpful they are… for example, do they offer design support or have a highly trained team which can help you make the most of your space? If they answer is yes, then you can move forward. A good furniture dealer will want to make sure you feel comfortable about your purchase. In this day and age, it’s easier than ever to snap a few pictures so that you can determine quality of the furniture you intend to purchase yourself. Make sure you know what warrantee your dealer offers from the get-go. Every dealer is going to try to court you with promises of the sun and moon. Asking about their warrantee and potentially looking into customer testimonials can give you a clear idea of who you are buying from, and whether or not they pride themselves on customer satisfaction. Visit their showroom or warehouse. If you go to the place where the dealer you’re considering working with does business, you can see exactly what kind of operation they run, which is telling. You’ll find out what kind of inventory they have, what their organization is like, and see samples of what they carry. Not only will you learn more about their business, but you might see something you liked more than what you originally intended on buying. If you follow this helpful guide, you should be able to keep a good distance from disreputable companies. They will make the burden of making furniture-related decisions easier, and help you to get furniture that will last well into the future without excessive spending or regret. Take a look at our cubicles and seating today! No Comments on "Used Office Furniture Buying Guide"